Earth Sense has one of the largest NFI technical staffs in the Country! We are happy to provide troubleshooting assistance and we provide full in-home service programs throughout Wisconsin. We have a Harman P38 pellet stove installed in 2007 – it’s been working great … until last night. I started it up and when the auger kicks in, it has high pitch squeal. Is there anything we can do to stop the noise, or will we have to have a technician come out? Excessive fines built up in the feeder body causing the slide plate to rub/have resistance. Feeder body clean-out is behind the auger motor, one or two wing-nuts will be unscrewed to remove the cover. Clean/vacuum area thoroughly, Pull out the slide plate (Make sure all fuel is out of the hopper), Clean and inspect the slide plate. See if there are any gouges, marks or burrs on it. Please note how it comes out so it goes back in the same way. Should be lip up. If everything appears good in the feeder body then in most cases it would then be the bearing attached to the auger shaft. Under load, that bearing can start making a squeal sound. See if you can pin-point where the noise is coming from with the back-panels off. Stethoscope can help, even a cheap toy one. Auger motor. Same here, see if you can pin-point where the noise is deriving from. Typical life on an auger motor is 6-9 years/seasons. If you would rather schedule a tech to come out then to troubleshoot yourself just let me know and I will get you to the right staffing to get that set-up. Otherwise we’re happy to help troubleshoot and I’m confident we can figure out where the issue is coming from and what we need to do to resolve it. Earth Sense Stocks Every Part For Harman Stoves Guaranteeing the Best Prices and Fastest Shipping! I have a Harman pc-45 stove. I just recently changed the blower motor (squealing). When I hooked it back up, it would appear that the blower motor wouldn’t shut off(low/high) and it would engage the auger motor. The problem then is the igniter wouldn’t come on. I changed the circuit board(bought from yins), but still the same problem. Check your feed rate the stove may not be burning hot enough to prevent buildup around the pellet entry/ end of auger. After professional cleaning I burned 3 or 4 bags and a high pitched squeal begin every time the auger ran. I assumed it was a pellet lodged and ran for 20 minutes hoping it would dislodge. Clearly not the problem. After some searching on threads everyone was pointing at build up. I pump the stove up to max to burn everything clean similar to your oven it should get hot enough to burn anything off. After 20 minutes of my stove running as hot as it could the squealing ceased. When I was turning everything up to attempt this i realized the gentleman that cleaned the stove had the feed set at 2. I suggest running at at least 3 to keep your stove hot enough to prevent buildup. 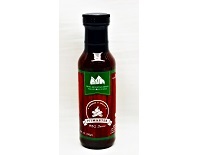 In case your not looking to do that ramp your stove up to wide open once every week or 2 to clean things up. Otherwise u can get in there with a fine wore brush and screwdriver once a month. Your choice. Happy burning hope this helps some people out. Thanks for contribution to the blog here Cody; very appreciated. If you ever need anything let us know. We stock and offer every Harman part at the guaranteed lowest price and fastest shipping. Idk if you guys are experiencing the squealing even after cleaning or not. I was under the impression I had a pellet caught in the auger but I’ve done some reading on other threads. I have noticed a lot have said it’s carbon or creosote build up at the end of the auger/ pellet entry to burn pot. I tried to clean things out well with my scraper and a screwdriver but the squealing persisted even after rigorous cleaning. I had only went through 3 bags since professional cleaning. When cleaner started stove he had set feed to about 2.5. Assumed the lower feed left the burn temp a little lower allowing build up. If u can handle the heat crank your pellet stove wide open for roughly half an hour. Should get hot enough to burn everything off. I tried this as last ditch effort to avoid taking my stove apart. 15-20 minutes and mine is squeak free. Hope this helps anyonr having squeaking migraines. Happy burning! The graphite trick worked like a champ. Squealing immediately stopped. I have had to repeat the procedure every now and then. But I’m ready with a supply of graphite on hand. The graphite worked for me as well on a Hartman Iron XXV. High pitched squeal is gone! Excellent to hear, thanks for sharing. Any other assistance needed or questions please let us know. We are always happy to help. I read a lot of blogs & videos about how often people clean there stoves. I am shocked at what i see & read 1 to 2 times a year! I have had trouble free and very efficient hot burning stove since my purchase from oct 2014 . I clean my stove during winter every 7 days thoroughly way beyond what is recommended in the manual because i find it a eaiser & faster clean this way because of less build up and trouble free operation with no excessive wear on components. Thanks for the comment. You are 100% right. The more often it’s cleaned the less time it takes, the more efficient it runs, and the less probability of issues arising. 95% of all of our service and maintenance calls are related to cleaning issues. It’s great to have a set schedule in place like you do – everyone should take note of this. We appreciate your contribution and if there is anything we can do for you please let us know. My squeal seems to come when the distribution comes on and stops when it turns off. I was able to minimize the squeal by running it on low. I’ve placed the feed rate on 4 that helped a little. I’ve seen internet places suggesting putting 3 and 1 oil into the (so called) oil ports. It is a P61A. Suggestions? Thanks for the quick turnaround. It is the motor, I’ve been a technicians my adult life and I have heard many bearing issues and this was my first thought of the noise. Thanks for contacting us, happy to assist. If your auger motor is jammed and you can feel it trying to turn you will want to do the following steps. If it feels like no power is going to the auger motor it could be a vacuum switch error or a faulty motor. Is your status light blinking? – Open up the sawdust cleanout cover and remove the slide plate. Vacuum area thoroughly. If it’s still restricted you can remove the auger motor, unbolt the auger shaft bracket, and completely pull out the auger shaft. A Channel Lock Pliers will be a helpful tool to wiggle the auger shaft so you can pull it out. Inspect and vacuum the throat where the auger shaft seats in. Happy to help. You can reach us direct at [email protected] or toll free at 800-236-6647. My distribution fan seems to be blowing very slowly during operation but works fine during testing. What could this be? Thanks for contacting us. Apologies on our delay as there was a glitch not allowing us to see the pending blog messages here. This would depend a bit based on your unit make and model, however I would say that if the distribution blower is running correctly when tested to direct power, but not in normal operation you would want to check a few things. First make sure the mount of the blower looks correct. Some blowers have a gasket seal, make sure that seal looks good if you have one in your unit. Secondly inspect the blower port, make sure there are no odd obstructions. Third, inspect the inner heat exchange tubes with a good flashlight (Where the heat is blowing out in the room) We’ve seen some odd cases where things can get in there lodging that area. If all of that looks good, the only other thing to really look at would be the control/circuit board. 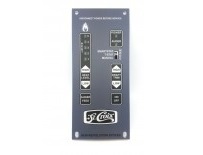 The control board is what determines the voltage for that fan to run at in most units. 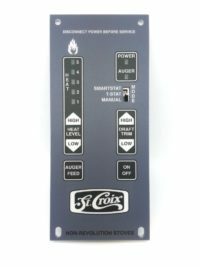 There’s always a chance that the control board is not giving proper signal for that blower to operate as it should be based on your heat settings. As I’m sure you have already done, make sure that the impellers or squirrel cage in the blower are thoroughly cleaned. A dry paint brush and compressed air can be great tools to do that. If you need any further assistance please let us know, we are always happy to assist. Thanks for contacting us, happy to assist. Is the status light on the stove giving you any kind of a troubleshooting blink status? We need to know what that status light is doing to provide assistance here. Happy to help. Thanks for contacting us, happy to assist. What Blink code are you getting on the status light? That will better help us diagnose. I would also suggest you thoroughly clean the unit and venting, double check your door and ash door gasket seals, and make sure your combustion motor appears to be operating correctly. Issues in any of those areas will trip the vacuum switch and shut down the unit. Also is a good idea to clean your ESP Thermister probe to make sure it’s sensing exhaust tempertature correctly. We are happy to assist. Thanks. I followed the suggestion to crank stove up to clean buildup from low setting. Ten minutes cleared noise. My concern with graphite would be that it lubricates a binding mechanism from buildup. In the end buildup will still be present until it can’t operate. Thanks for the comment Stephen. Graphite works for some and your right in some cases can just be a temporary fix. We do stock the auger shafts for Harman if you are ever needing to replace. 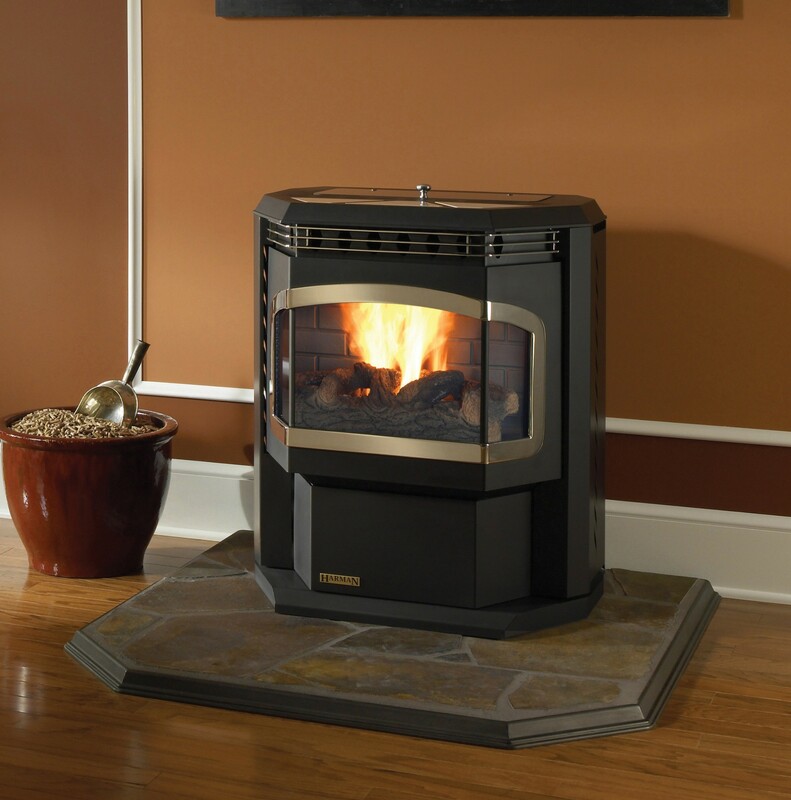 I have an Enviro Milan pellet stove. Ran perfect all last season until March. It just wasn’t lighting up. Tried a new igniter to no avail. It ended up being th motherboard. We replaced that. Took care of lighting it up. But then, we heard what sounded like a grinding noise. The impeller was warped & a bearing was out on the motor. So, we replaced the motor(not the convection blower unit) as well as the impeller. We had to use a 3-3/4” diameter impeller as opposed to original 4-1/4”. We CANNOT find a 4-1/4” but did find a 4” one. When we placed the order for impeller, it was exact model/part number of original so I thought it was the right one. When I received it, it was the 3-3/4” one I mentioned above. It’s not loud but it’s noisy. Any tips on that? Or is it because the impeller is smaller than what it’s supposed to be & that’s why it’s noisy? Also, we can put heat output on #1 & #2 no problems, but, when we get to 3, the high temp sensor goes off & the #2 light flashes. I can shut stove off, unplug it, reset it, restart stove, put it on heat output 1 or 2 and it runs fine(with exception of noisy fan). Any suggestions to both the noise & #2 light flashing? Thanks for your time & consideration. Thanks for contacting us, happy to assist. I know the aftermarket replacement combustion blower kits we offer for the Enviro Milan we include a 4 3/4″ Paddle Impeller and have had great success with that. We do also offer the OEM combustion blower assembly, newest part number 50-901 – I just double checked the factory stats on that and it is a 4 3/4″ paddle impeller used on the 50-901 which is the OEM Combustion Blower for the Milan. Here is our aftermarket 4 3/4″ Fan Paddle Impeller https://pellethead.com/product/enviro-hudson-river-vistaflame-combustion-fan-impeller-blade-4-3-4/. The smaller size impeller you are using currently could definitely be causing the issue with the noise as well as your stove tripping the high limit switch. Size of the impeller is important in how the combustion blower functions and the air delivery through the burnpot. I would suggest you start there first. If you are still having issues with the high limit tripping it could be an issue with that limit switch getting weak/going bad. You want to make sure you have a crisp, torchy looking fire during operation on all heat settings. If you are starting to notice a very large or lazy fire on higher settings it would indicate an issue with the combustion blower/paddle impeller, cleaning maintenance issue with the stove/vent pipe and/or gasket seals that need to be looked at or replaced. Let us know what you find, happy to assist any way we can. So glad I checked the internet about squeaking on my Harman stove. I tried the graphite trick and it worked instantly!!! 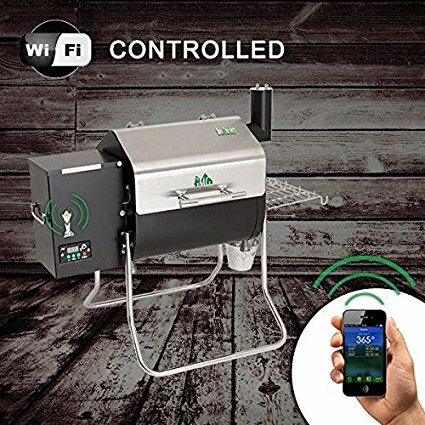 So happy and saved me hundreds of dollars on a service call!!! Thank you all for sharing!! Excellent! Wonderful to hear Kay! Any future questions or needs just let us know. We offer every part for Harman, guarantee the lowest prices, and always offer lifetime tech support. Thanks for contacting us Robert. We can certainly help out with that and send you a digital copy to your email here. If you want a physical copy let us know – we can get that mailed out for $10.00. 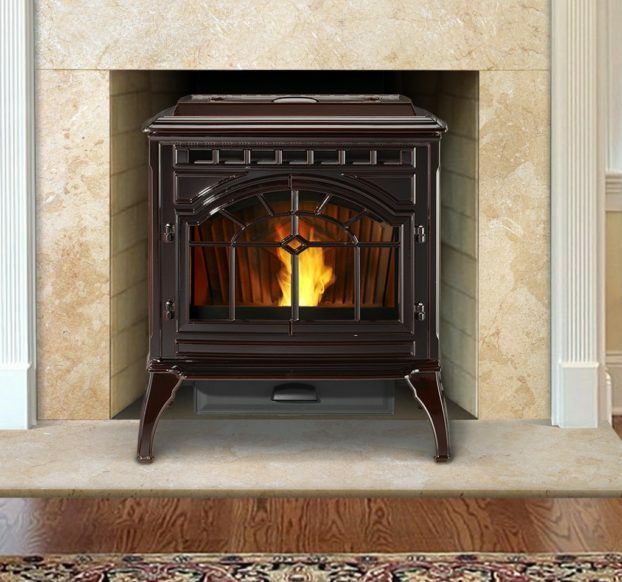 The Harman PC45 is a great stove and the owners manual is a critical tool to have. Thanks for reaching out, we’ll get the digital over momentarily. i have a harmon accentra Insert that once in warms up has a low pitched growling or vibrating resonance sound.We gave it a complete and thorough cleaning and replaced the distribution blower . But the noise persists. Stove is about 10 years old. Thanks for contacting us Pat, happy to assist. To better assist we really need to narrow down where that noise is coming from. I know its more difficult to do with the insert model, but see if you can pinpoint where that noise/sound is coming from. A simple stethoscope can be a very helpful tool for this. If you recently replaced the distribution blower than most likely it is coming from the combustion motor or the auger motor in the unit. Let us know what you find, happy to help however we can and get everything back to 100% again. I’m in desperate need to get my stove fixed! It’s so cold! I have a p43 Harman. First it started with the noise, it was feeding and igniting for half an hour, now it runs, all lights are lit except blower. It does absolutely nothing. Very loud motor. No ignition so no flame and of course no heat. It just stops. I’m at my wits end. I have had trouble since day one with this stove. Constantly calling for service. Can you help me? I live in Sparta, NJ. Anyone in this area? Thanks for contacting us, sorry to hear of your troubles and difficulties with the P43. I’m surprised to hear you’ve had such issues; this is a very high quality and reliable unit by Harman. We are happy to help assist. We are located over in Wisconsin and are only able to service in state, however we can assist you if you are trying to fix the stove yourself. We offer every part for Harman and guarantee the best prices. We can assist you over the phone or by email regarding questions or service assistance that is needed. To better assist with what you are currently stating, we would just need some further specifics. – Is the Status light blinking? – When you say that the blower light is not lit do you mean the combustion blower or Distribution Fan? – Which motor is loud? Auger, Distribution, or Combustion? – At first you mentioned it was igniting and then you mentioned it was not – Again we will want to see if there is a fault code with that status light. We’re confident this can all be easily remedied. And again if you are looking to fix the stove we are happy to walk you through it. If you do need a service professional to come out, I would suggest going to Harman’s website and looking up the local dealers that are closest to your location. I am experiencing a high pitch squealing noice coming from my p68 Harman Pellet stove. The noice occurs when the feed motor is engaged and the auger spins. A technician has replaced the feed motor and it has been cleaned thoroughly on several occasions within the auger housing tube, slide plate and anywhere else that we could think of to clean. There isn’t any carbon buildup anywhere on the auger or within the auger housing tube. 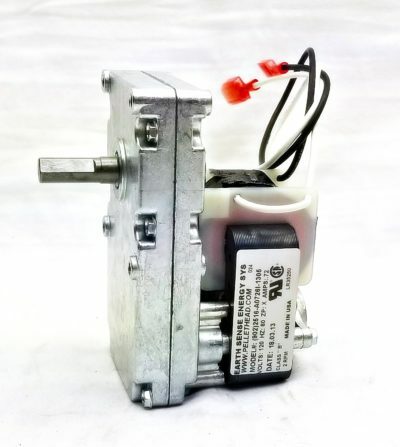 We have not replaced either the combustion or distribution motor and fans. We have not replaced the bearing on the auger. Technical support at Harman suggest I replace the combustion motor and fan. What is your opinion??? This thing is driving us nuts!!! Thank you!!! Thanks for the message Dave, happy to help. If you have pinpointed the noise to when the feed motor is engaged and the auger spins, then I would lead that direct to an issue with the auger/auger bearing. Especially since you have checked the slide plate, sawdust clean out box and auger housing. In over 90% of the cases with a squeal during feed, it would be a bearing under load issue on that auger shaft. If the squealing/noise was consistent whether or not the auger was turning, then I would say you would want to inspect your combustion blower and distribution fan closer. In your case it seems like it’s only when the feed motor is engaged. Depending on the year and serial number of your P68 will determine the correct replacement auger shaft. Links below to both. I had the squeaky noise too. I emptied the pellets out of the hopper then vacuumed all the remaining pellets and dust. I vacuumed the clean-out chamber for the push plate again. I did noticed some more dust on the push plate. Then with a tube of graphite, I sprayed a light coating in the bottom of the hopper. From the clean out chamber, I lifted the slide plate and added a squirt there. Within 2 minutes the squeak was gone. Bill – good idea on adding the graphite. Thanks for contacting us Ed. It would be good to pin-point where that sound is coming from. Possibly you can remove the panels, have a good light and see if you can trace down where its coming from. A stethoscope also works well to pinpoint noises – even a toy one. Happy to help however we can. Very glad to hear you were able to solve your problem Gary – appreciate you sharing. The graphite trick worked for me as well (thanks Bill!) although, a single 0.3 gram tube was enough. 3 whole grams seems like a lot. Thanks for sharing Mike. Yeah, I would say less is more, start with a very small amount.